Anyone who has an eye on automotive news these days might have noticed two different companies promising to bring Hispano Suiza back to life. 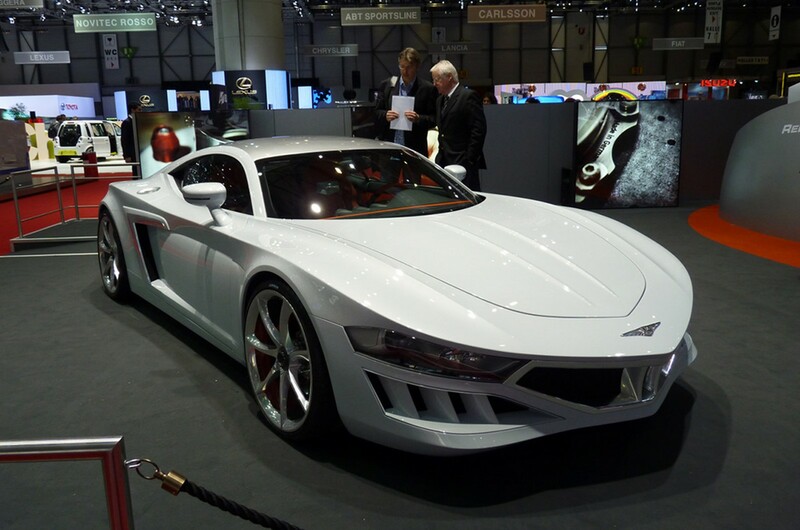 One of them, from Switzerland, even presented a Hispano Suiza-badged concept car back in 2010, and it will soon launch a production car called the Maguari HS1 GTC. The other one, from Spain, will reveal an electric Hispano Suiza 'hyperlux' grand tourer at the 2019 Geneva motor show, named the Carmen. Both state they have the trademark and patents for the iconic Spanish brand, but which one of them really does? Autocar has contacted the two companies, intellectual property law firms and trademark registration offices all over the world in order to clarify the matter. And we've discovered that the story is much richer than it may initially seem. The Swiss company, which has an engineering hub in Austria and its design studio is in Paris, is named Hispano Suiza Automobilmanufaktur AG. It's run by Erwin Leo Himmel, former head of design for Volkswagen and Audi from 1990-1999. While Himmel was there, he worked with designers including Peter Schreyer and J Mays. Some of the cars credited to him are the Audi 100, the original Volkswagen Touareg and the Audi Quattro Spyder concept. As an independent consultant, Himmel also became the father of the Subaru Tribeca. It's not clear when he decided he would become a car manufacturer himself, but he chose to put a famous name on his cars. With the excuse that he's a huge fan of Swiss engineer Mark Birgkit, he decided to push ahead with the brand Birgkit created with José María Castro Fernández in 1902 and which was saved from bankruptcy in 1904 by the investment of Damián Mateu. It marvelled the world car fans as Hispano-Suiza. Mateu, a lawyer and business man, was in charge of Hispano-Suiza for most of its story. produced its last car in 1938. All our communication with Himmel was through his PR department. And this is what the designer said about the first steps of his company in a press release sent to us: "I got the European rights for Hispano Suiza back in 2010. Meanwhile, I also own the rights in our global key markets. The historic brand was asleep for almost eight decades and the domain was about to go public. "As I was a huge admirer of Marc Birkigt, the Swiss engineer who co-founded the brand, I brought the brand back to life with the Grand Turismo Coupé in 2010. 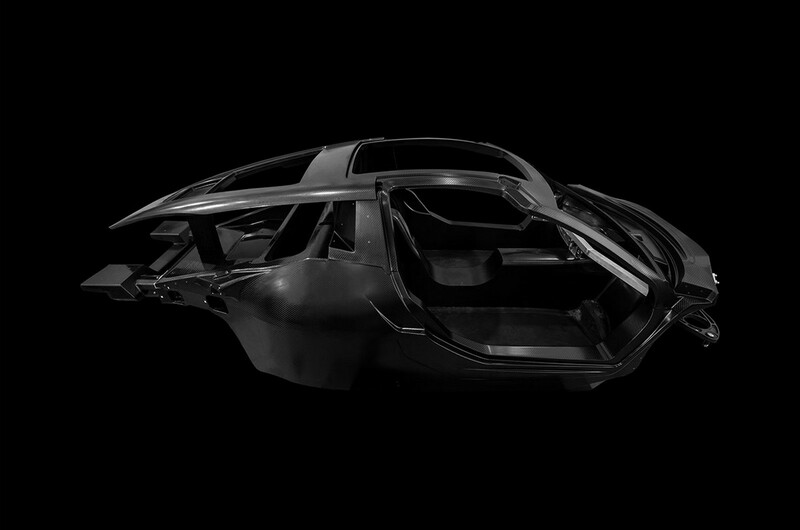 Ever since, I’m developing and designing the new hypercar, which will be shown in a few weeks. My company, the Hispano Suiza Automobilemanufaktur AG, was also founded in 2010, with the sole intention of bringing back the glory of the brand". Hispano Suiza Automobilemanufaktur AG was founded on 3 September 2010, when the registration of the company was published by SHAB/SOGC, the Swiss Official Gazette of Commerce. When the Grand Turismo Coupé concept first appeared, it was presented by a company called Delmar 04 SA. According to a PR member of the company: "You have to secure spaces well in advance [for the Geneva motor show], and Erwin Himmel’s company was not set up by then. Delmar 04 was a business acquaintance of Mr Himmel back then, but there is no further connection and we do not know what happened to that company". We do, though. First of all, it was run by Marta Pou Portús, a businesswoman who currently identifies on LinkedIn as Hispano Suiza's project manager. Secondly, Delmar 04, which worked with real estate, is apparently no longer active. Last, but not least, Pou Portús left the administration of the company on 23 October 2012. Some months after, Delmar 04 got sued by La Hispano-Suiza Fábrica de Automóviles SA, a company that belongs to Grup Peralada. This conglomerate, with business in casinos, hotels, wine and plastic production, was run by Artur Suequé, husband of the recently deceased Carmen Mateu, who was the granddaughter of Damián Mateu, along with their children, Isabel, Javier and Miguel. This company is the one that now intends to present the Carmen at the Geneva motor show. A few days after the Grand Turismo Coupe was presented, on 12 March 2010, La Hispano-Suiza Fábrica de Automóviles SA issued a press release stating that neither it nor Safran SA authorised the use of the name by Delmar 04. Nor had it had any role in developing the vehicle. The Spanish company also attacked the "deceiving declarations" about the car being a Hispano Suiza and promised to seek all valid legal actions against "any illegal conduct that could violate its rights" over the brand. And it kept that promise. In 2010, La Hispano-Suiza Fábrica de Automóviles SA filed a suit in Barcelona against Delmar 04, Ruth Sacramento and Teofilo Patricio, under the number 558/2010, demanding a lot of things. The most important ones were that the court recognised its right to use the brand, forbid Delmar 04 to use it and forced the company that showed the concept in Geneva to pay La Hispano-Suiza Fábrica de Automóviles SA for moral damages, ceasing profits and indemnisation for expenses in the process. Legal terms for heaps of dosh. On May 15 2012, the judge denied the Spanish company everything it asked. So, La Hispano-Suiza Fábrica de Automóviles S.A. appealed and, on 12 February 2014, had the request for unfair competition granted. The amount it would receive, €35,560, was basically what it spent with Durán-Corretjer SLP, an intellectual property office. The Spanish company was obviously unhappy with the result and so took the law suit to the Supreme Court, only to have the previous decision confirmed once again in 8 February 2017. 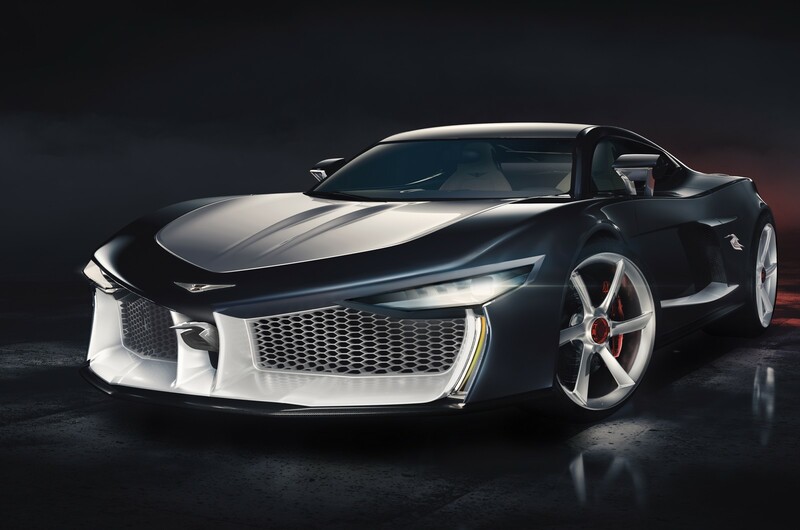 The penalty was basically due to the fact that the court considered the new Hispano Suiza could not have tried to associate its work with what La Hispano-Suiza Fábrica de Automóviles SA had developed in the past. A purple 1928 Hispano-Suiza H6B was presented beside the Grand Turismo Coupé at the motor show stand, something that reinforced the attempt to link both manufacturers, according to the judges. Still, the court still didn't grant La Hispano-Suiza Fábrica de Automóviles SA rights over the brand, which had gone public in 2009. Apparently, Ruth Sacramento and Teofilo Patricio have secured their place in this story when they tried to negotiate the use of the brand with the Spanish company – probably in the name of Erwin Himmel, but we could not confirm that. Since they reached no agreement and the brand went public, they tried to register the trademark on 22 November 2008. La Hispano-Suiza Fábrica de Automóviles SA opposed the registration but then quit its opposition, which gave the judges the impression that it was no longer interested in the brand. Himmel reports a similar feeling in the press release we mentioned before. He stated: "Miguel Suqué Mateu, the great-grandson of Birkigt’s finance partner Damián Mateu, promotes the car displayed in Geneva. But until date they had no or little interest in the automotive industry at all and even let the domain for the brand – the branding rights – go public. Their current company, Hispano Suiza Cars, was only founded on 26 November 2018. In a personal talk with Miguel Suqué Mateu a few years back, he even told me that he has no interest and no knowledge in the automotive industry and that his Grup Peralada business (owner of casinos and party halls in Catalonia) is what drives him. The only activity related to the history over the years was a Hispano Suiza owners club in Spain which one of his employees looked after". Autocar contacted La Hispano-Suiza Fábrica de Automóviles SA and received this response: "Please be informed that our company is the legitimate user of the Hispano Suiza trademarks and that all of them are validly registered and in force. As already declared by EU trademark institutions, Mr Erwin Leo Himmel’s conduct with regard to our trademarks is of evident bad faith, as well as a clear case of free-riding". The company also identifies as Hispano Suiza Cars SL, like Himmel stated. The difference of this new company to La Hispano-Suiza Fábrica de Automóviles SA is that it's a company with limited liability, instead of a corporation. Asked to provide evidence of the trademarks registration, Hispano Suiza Cars SL stopped replying to our messages; we will update this article if it gets back to us. Anyhow, we have researched for trademarks and what we found is revealing. One Hispano Suiza for each country? Himmel has active trademarks for Hispano Suiza with the trademark offices of Spain, Germany, France and Singapore. Pou Portús, the former admnistrator of Delmar 04, has active trademarks for Europe. She has requested a trademark in Switzerland and in the US, but it's pending in the former and has been denied in the latter. The PR team said: "The trademark procedures there are quite difficult. The US did cancel the trademarks, because there was no active brand behind it. It will only be granted once there is actually a 'living brand', which will happen eventually once our car is on the road in a few weeks time". All active trademarks related to Hispano Suiza that La Hispano-Suiza Fábrica de Automóviles SA holds are not for cars, but solely for other businesses. The ones related to cars are all pending, mostly due to opposition on the trademark registration. Safran SA, quoted by La Hispano-Suiza Fábrica de Automóviles SA in its 2010 press release, has two active trademarks for vehicles, both of historic logos in Europe. It also has a patent in South Korea. Autocar has tried to contact the French company – considered the world's oldest aircraft engine manufacturer – but hasn't yet received a reply. To make matters worst, there are two other people trying to register Hispano Suiza for cars. Fernando Salvador-Montoro applied for it in 20 January 2018 but faced opposition to his registration attempt. 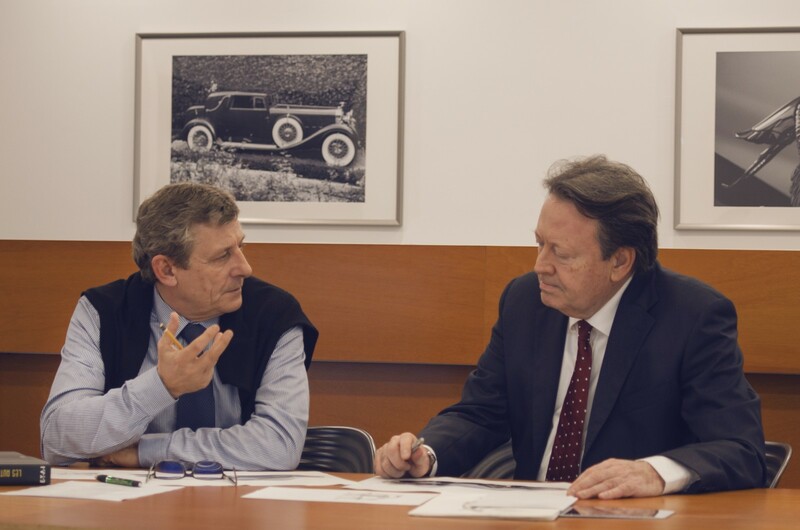 Gonzalo Andrés Ramírez Monfort, who identifies himself as managing director of Hispano Suiza Automobilemanufaktur AG, attempted to do the same in 18 February 2017 but got the same result. Both requests are pending. These signs clearly indicate that we are close to a legal battle over the Hispano Suiza name. A Spanish engineer, Guille Alfonsín, has posted on Twitter to say that the main goal of the Carmen is to prove the Grup Peralada produces cars and challenge Himmel for the use of the brand. Himmel, with the Maguari HS1 GTC, would have the same goal, even if he really intends to produce his car.